The culture within the company plays a hand at determining its performance. Employees should work together as efficiently as possible to make the company perform effectively. Transparency within a company is vital to forming a company culture that encourages employee engagement. This leads indirectly to better overall interactions with customers by giving employees an awareness of their role in the company. Every employee is aware of what his tasks are, therefore, the company performs better and there is more attention for the customer. Mystery shopping is one of the best ways to gain transparency. It provides insights into the front line of the company and the company itself. The collected information comes from customers’ perspective, and can provide insight into which departments are performing well and which department needs more attention. Mystery shoppers are selected and screened with great care to ensure that they match the desired customer profile. There are shoppers to match any kind of requirement, this results in the fact that in virtually any industry can benefit from these programs. Recognition is a key aspect of establishing a company culture that encourages engagement, and mystery shopping programs allow brands to make fact-based decisions about their employee’s performance. Recognition in the results which are provided by mystery shopping programs is important for employees to improve their performance. Mystery shopping programs provide insights into, among other things, staff performance. When mystery shopping, or other market research tools, are not used, there is a risk that a company makes decisions on incomplete information. This can lead to unsatisfied employees and, in the end, unsatisfied customers. Unsatisfied employees results in unsatisfied customers. Besides solving this problem by using mystery shopping, programs can also improve the culture within the company. If the staff knows that any customer could be the one evaluating their performance, there is a better chance that they remain engaged and do not let any individual customer interactions fall below organizational standards. Individuals who are not doing their job as is stated by the company standards can be motivated or, in the worst case, removed. Of course, mystery shopping is no longer used solely for staff performance appraisals as it was in the past..
Mystery shopping programs add value to an organization. To conclude, the goal of providing information using mystery shopping programs is to let people experience great service. For the company itself, mystery shopping can also lead to advantages; the culture within the company can be improved. When employees are aware of the mystery shopping program the company is using, every customer could be the one evaluating their performance. No employee wants to perform below organizational standards which results in employees working more effectively and this has a positive effect on the customers’ satisfaction. 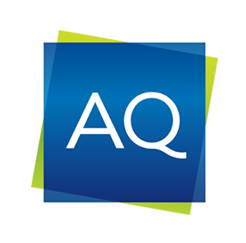 Maarten Brouwer is doing an internship at AQ Services International in Kuala Lumpur. He studies Marketing Management at the Hanze University of Applied Sciences in Groningen, The Netherlands. The choice to do an internship in Kuala Lumpur fits the personal interest in different cultures. Read more of Maarten’s articles here. How to manage cultural differences in workplace?